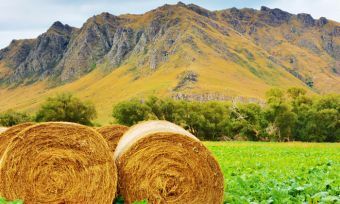 Agribusiness is a vital part of the New Zealand economy and according to Colliers International, demand for rural property will continue to be strong over the next 12 months. New Zealand is the largest dairy and sheep meat exporter in the world, and a major global supplier of beef, wool, kiwifruit, apples and seafood. New Zealand-grown produce feeds over 40 million people, with 7,500 animal products and 3,800 dairy products going to 100 countries every month. New Zealand’s dairy industry is its biggest export earner with total value in excess of NZ$13.4 billion (US$ 11.0 billion) in 2013. 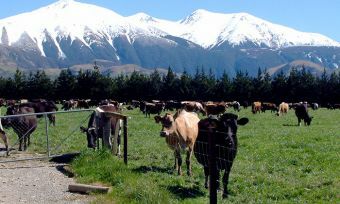 Its largest market is China, with more than 30 percent of China’s dairy imports originating from New Zealand. Milk powder, butter and cheese are in particularly strong demand. Kiwis are constantly improving their agri practices through technology solutions such as herd improvement, software, pasture mapping and management. As such, there are new collaborations up and down the agricultural value chain – from seeds and grains, to animal genetics, quality control, farm assurance systems, farm equipment and technology. According to Colliers International, lower dairy payouts in the short term will not be enough to cast a shadow over demand for property in the rural and agribusiness sector in 2016. Demand for property in the beef and lamb industry will rise along with prices at the farm gate. “Property values have not shown any value reduction in most established areas due to a lower dairy pay-out with sellers resilient to lower expectations amid the strong medium to long-term outlook for the sector,” said Shane O’Brien, National Director, Real Estate, Rural & Agribusiness. Forestry and horticultural sectors will enjoy their time to bask in drier, more accommodating weather conditions. Issues around foreign ownership rights, health and safety, the environment, climate and irrigation won’t go away. “Dry weather conditions across much of New Zealand may impact market sentiment in early 2016, however many of the areas experiencing the harshest conditions are the most irrigated,” said Shane. According to Colliers, benefits will also become clearer for the industry from the Trans-Pacific Partnership (TPP) – the largest regional trade agreement in history – in 2016. Read more of Collier’s 2016 predictions here.